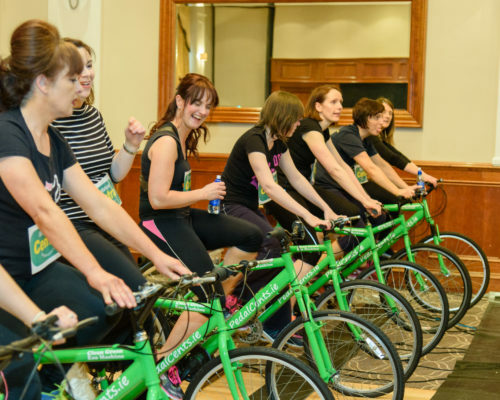 We take the hard work out of your next fundraising campaign by providing you with a tried, tested and successful fundraising model. 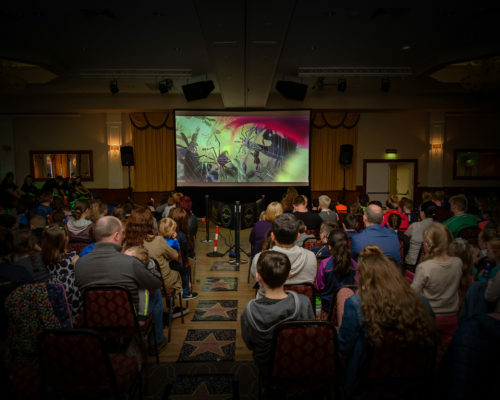 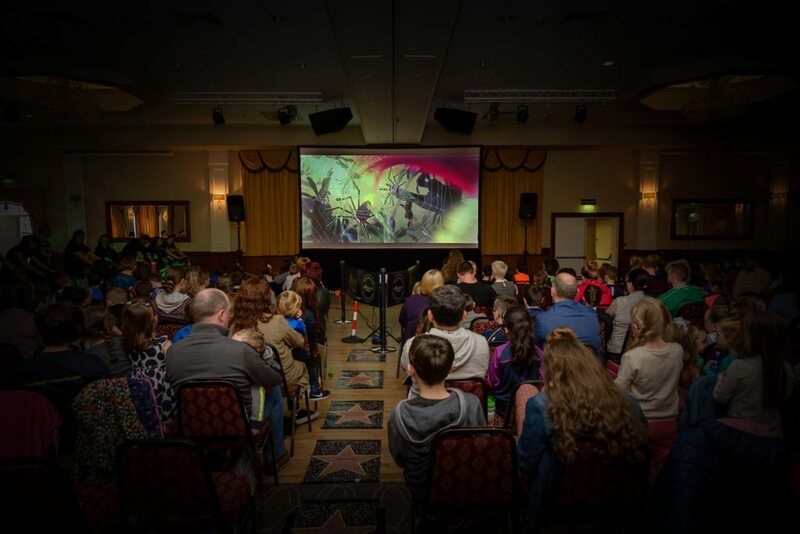 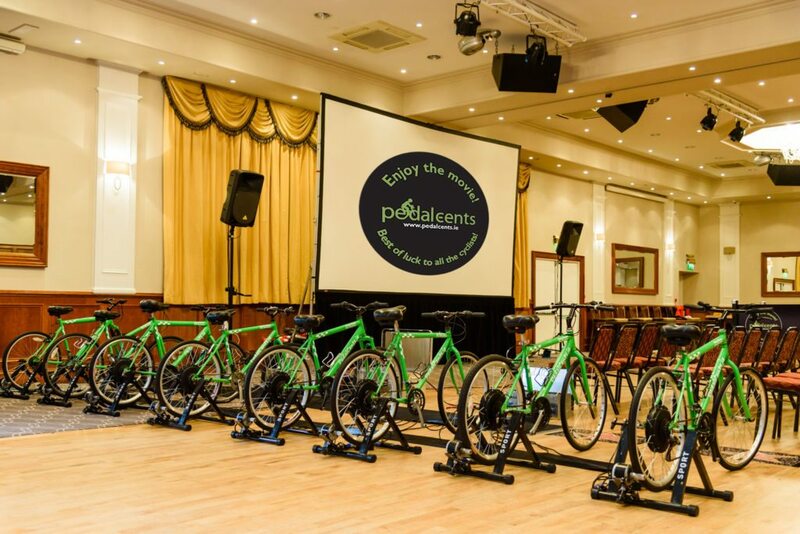 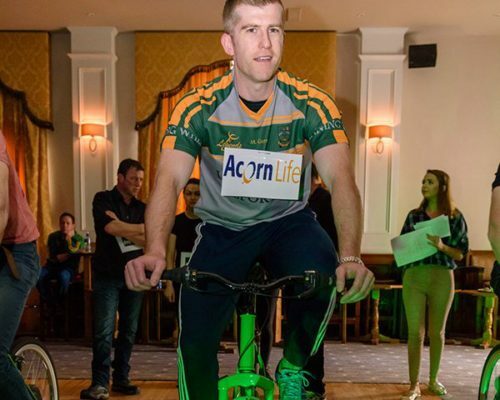 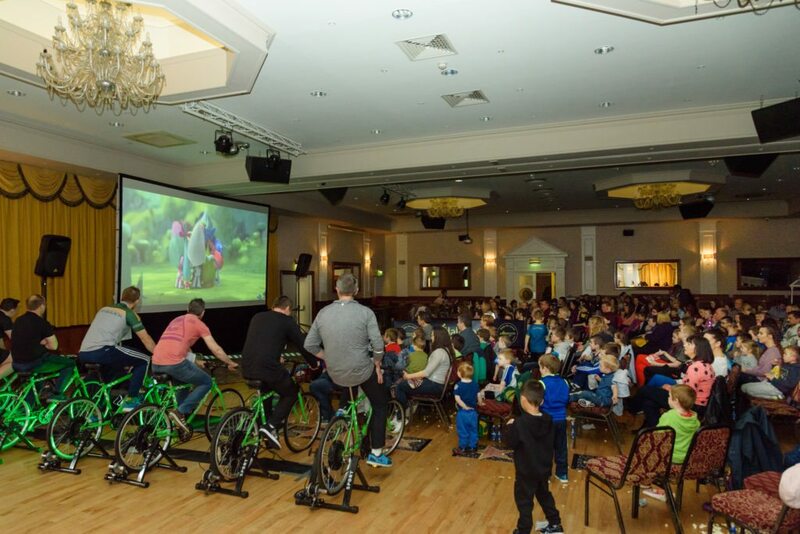 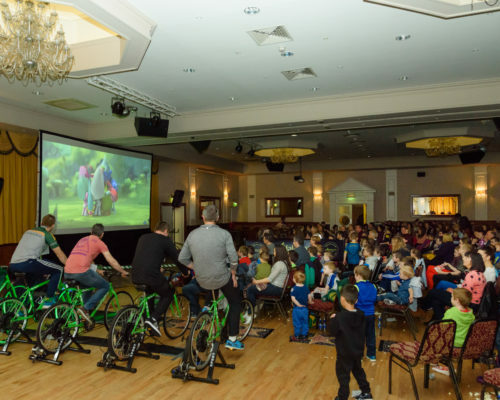 Our pedal powered cinema fundraisers are family friendly, promote fitness and wellbeing, have a huge curiosity factor and are great fun. 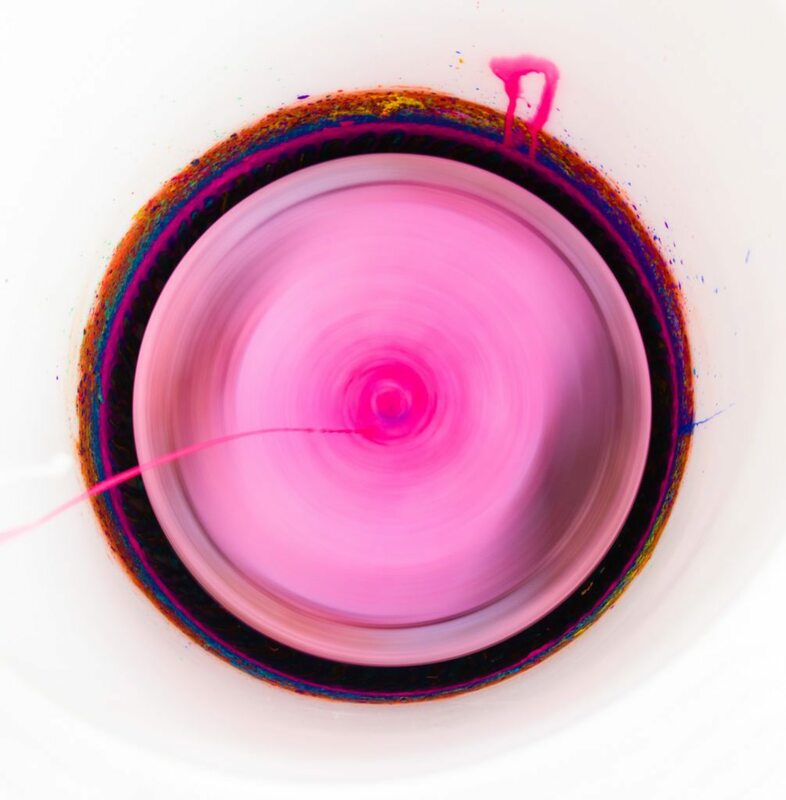 It’s rare to find all of these positive attributes wrapped up in one single package. 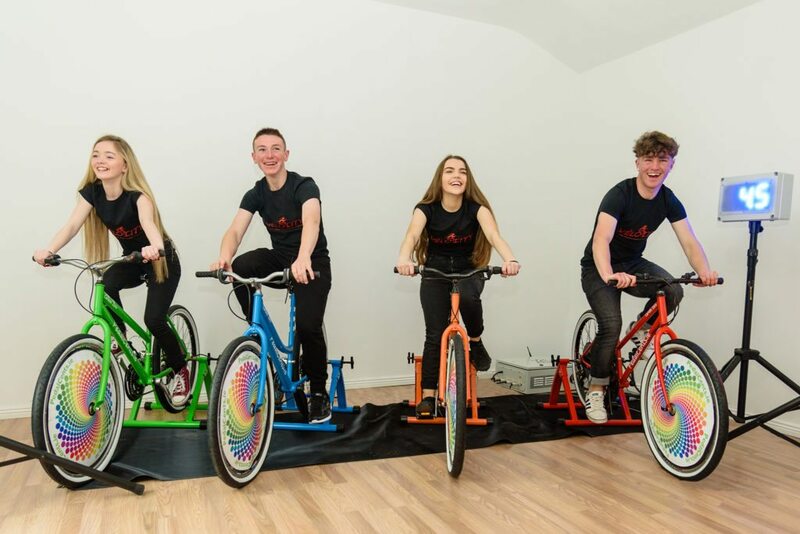 For many committees, setting out to fundraise for their school, club, charitable cause etc. 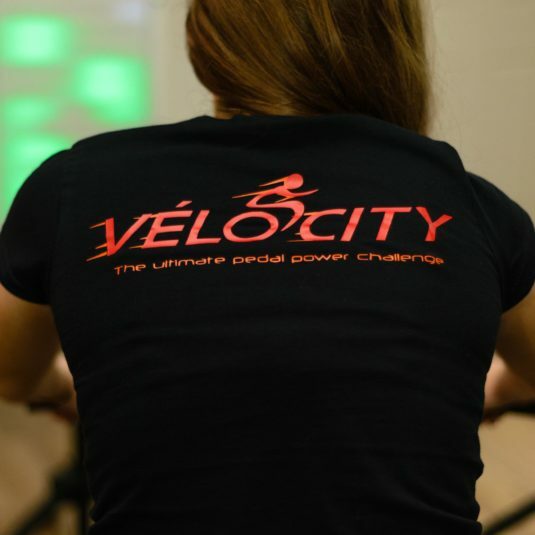 can be a frustrating, demotivating and difficult experience. 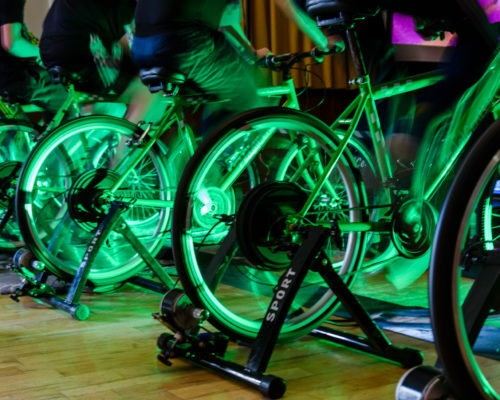 Progress can be crippled by a lack of new ideas and a difficulty in quantifying running costs and revenue potential. 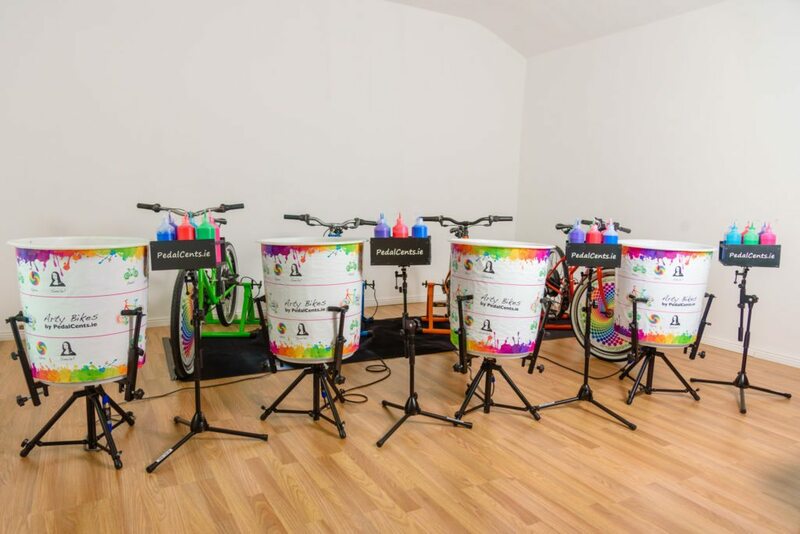 We bring the benefit of our experience to your fundraising campaign and give you access to a model that works. 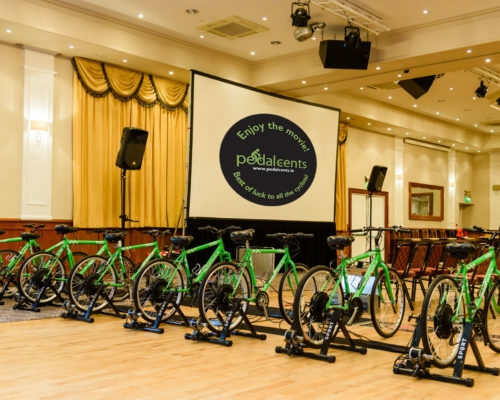 We provide you with the promotional material to get your event noticed along with interesting opportunities for local businesses to advertise at your event. 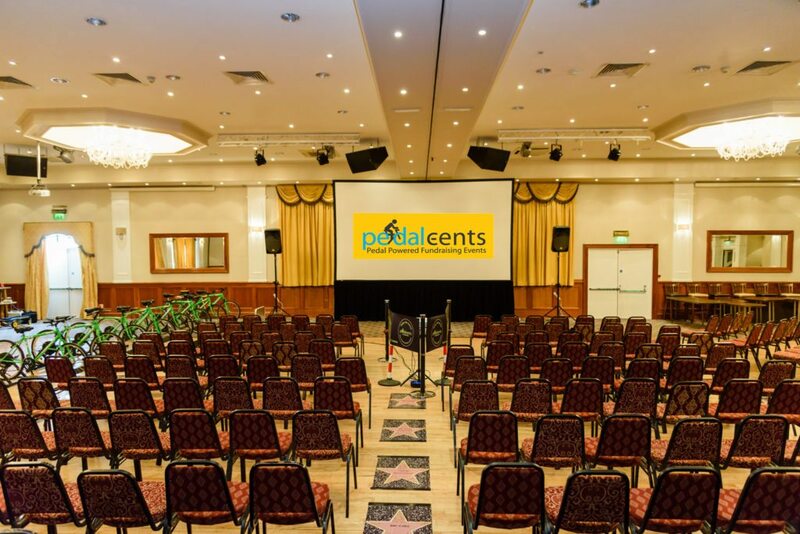 An important benefit of working with us is that we set up and remain on site to run all the technical aspects of the event for you, before taking everything away when it’s done. 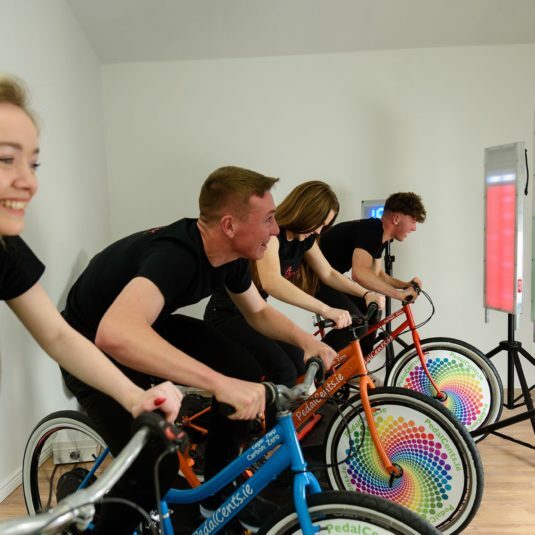 Time is a valuable resource so why waste it? 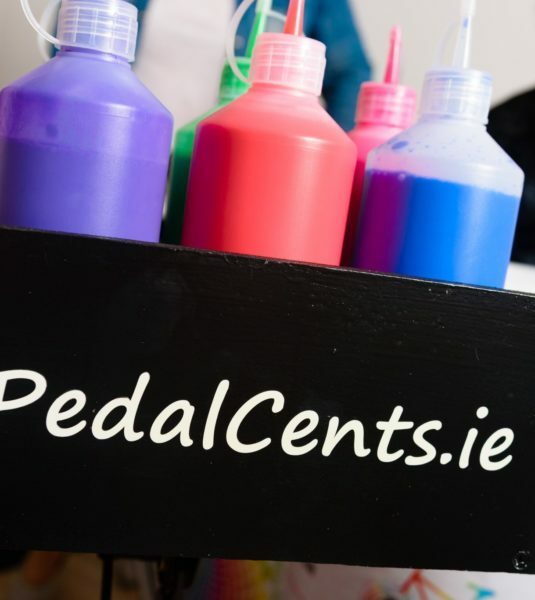 Use it wisely and contact us today. 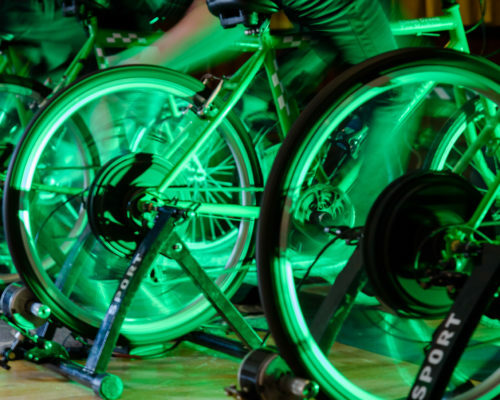 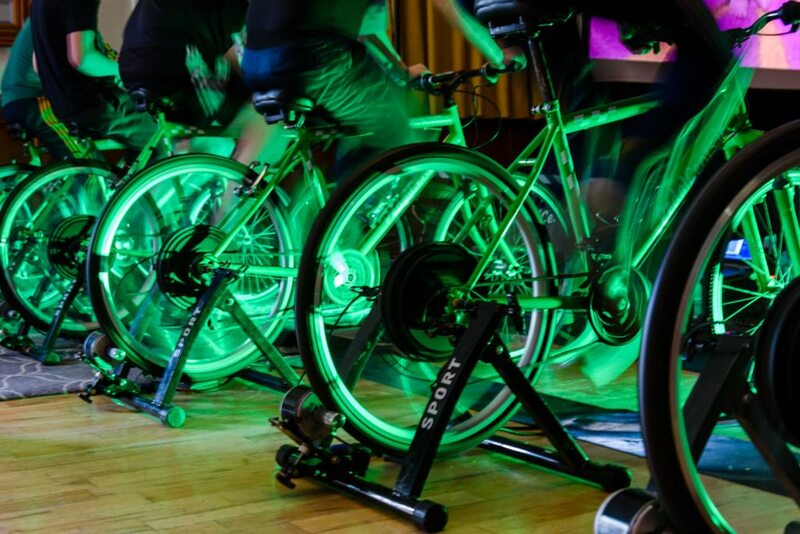 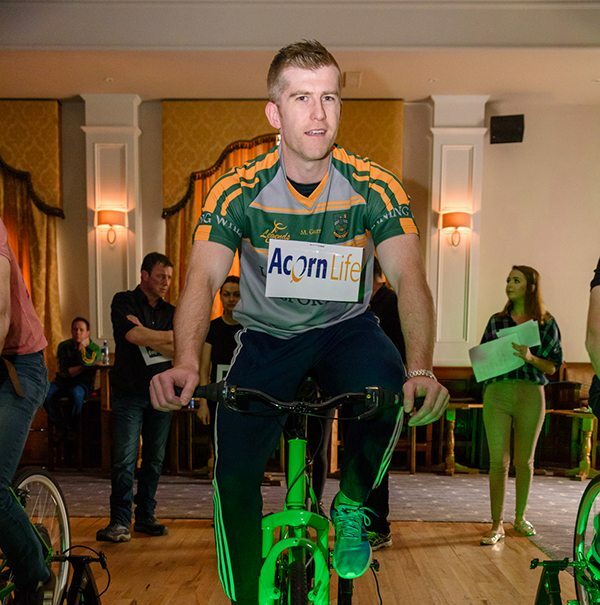 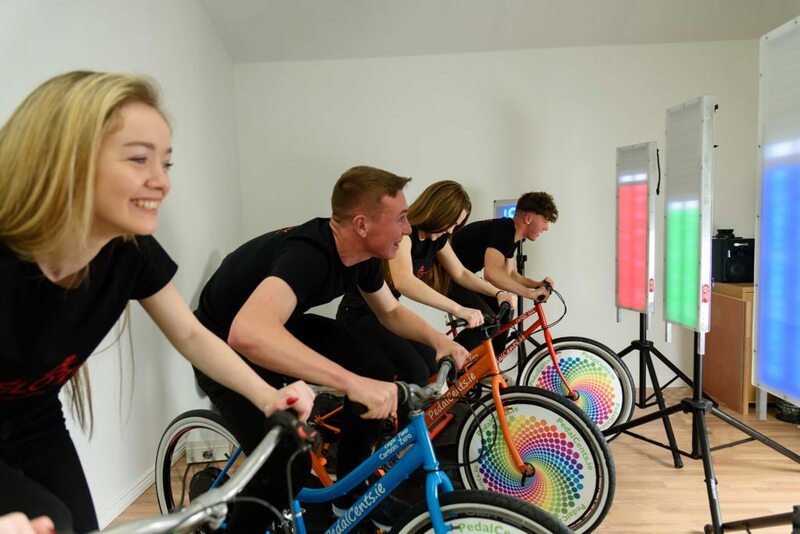 Our spin art follows three very simple steps; Pedal, Spin, Smile! 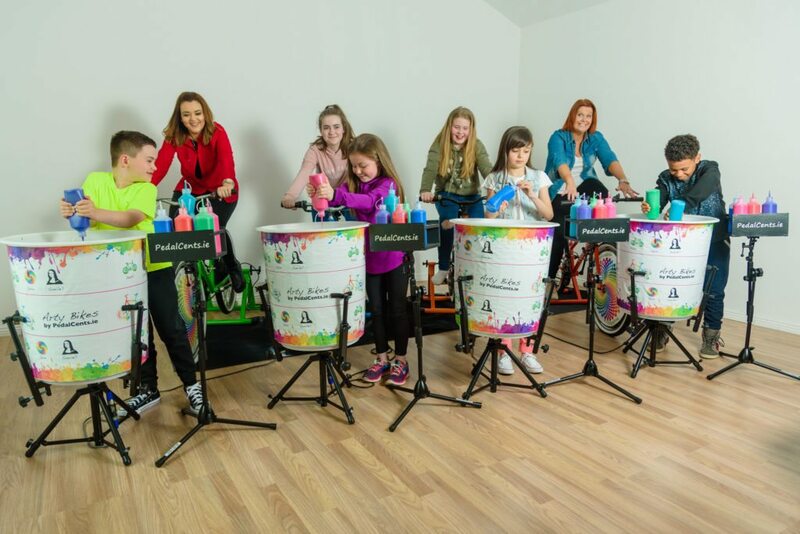 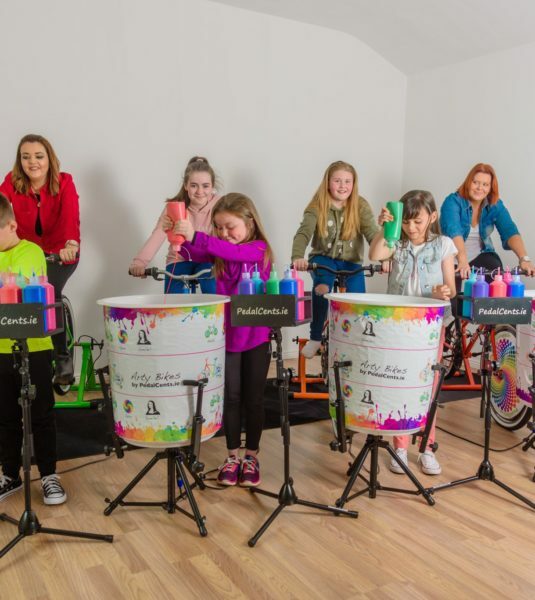 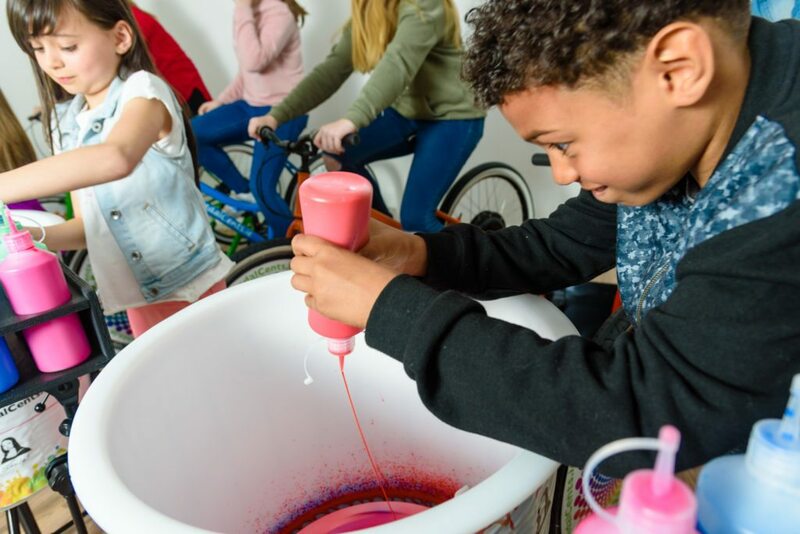 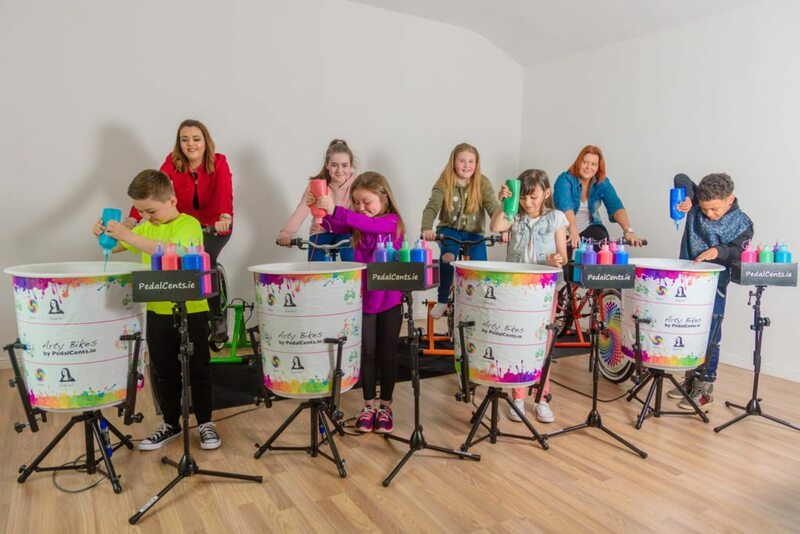 Yes it takes pedal power (but it’s really easy) to get our drums spinning but the smiles it will put on little artist’s faces could power your day! 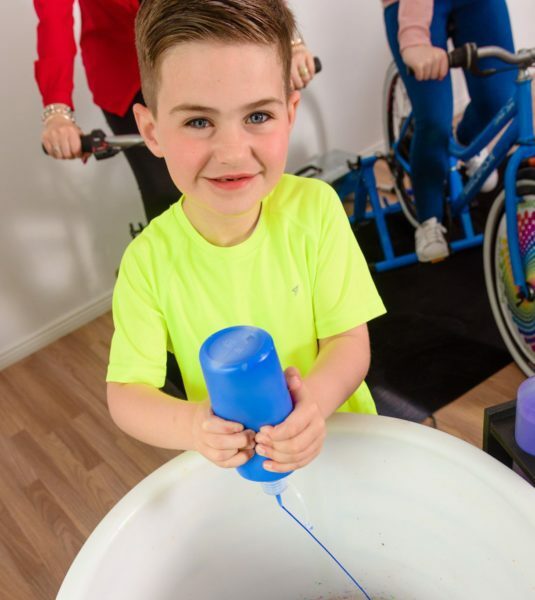 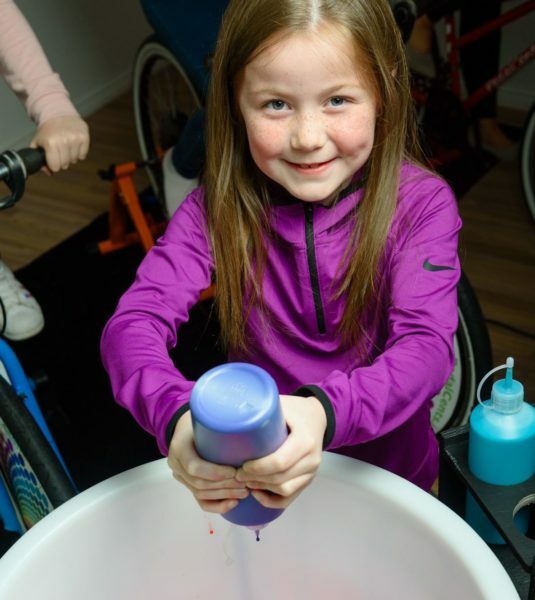 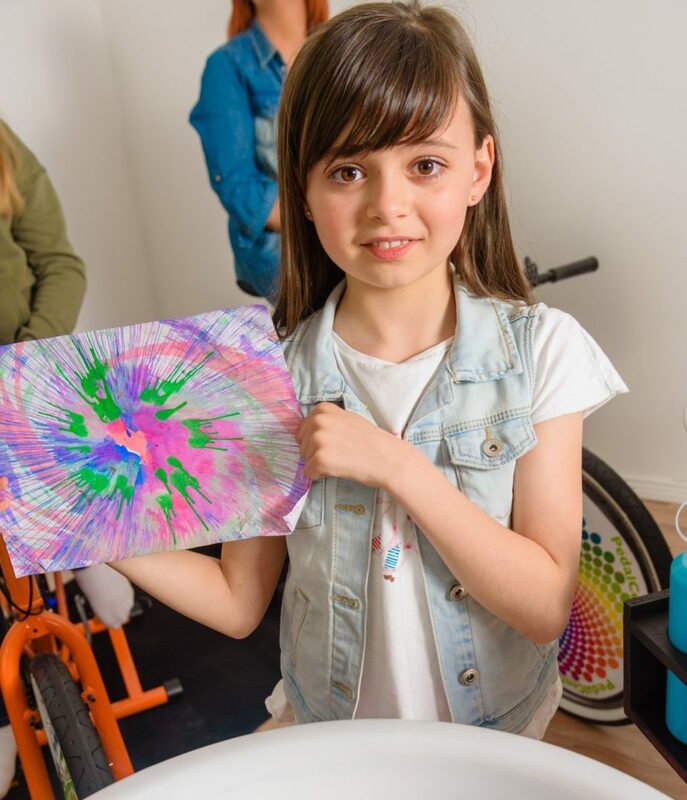 Our pedal powered spin art is sure to be a favourite with all kids (big and small!) 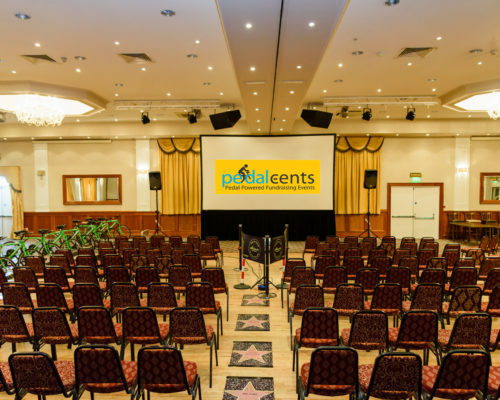 at your next event. 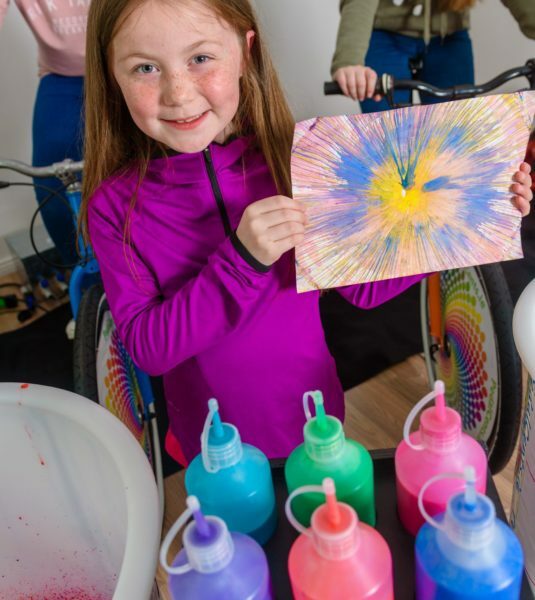 Making a spin art masterpiece is easy; it just takes one person to cycle and the other to paint. 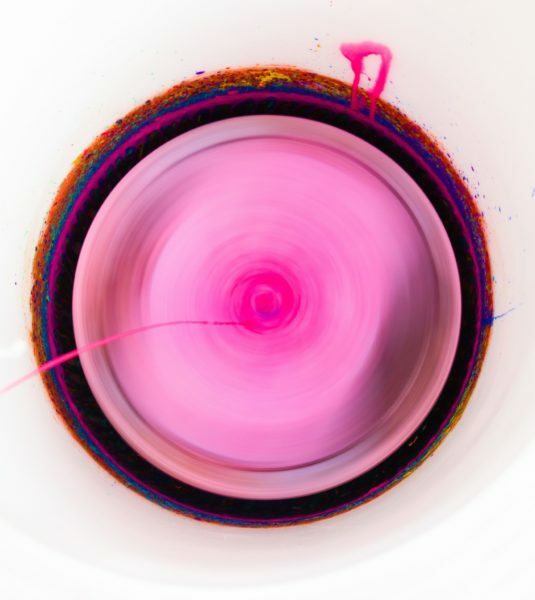 No two spin art pieces are the same, each one is beautifully unique. 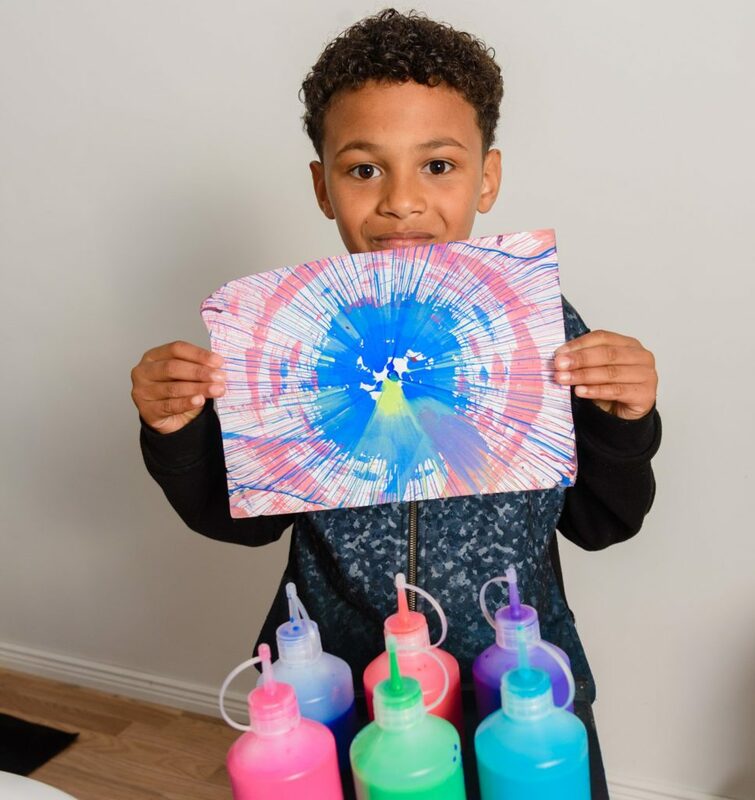 Kids will watch in amazement as their artwork comes to life before their eyes. 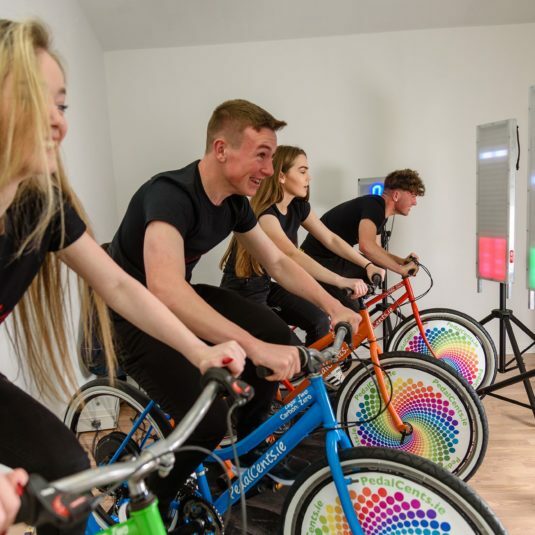 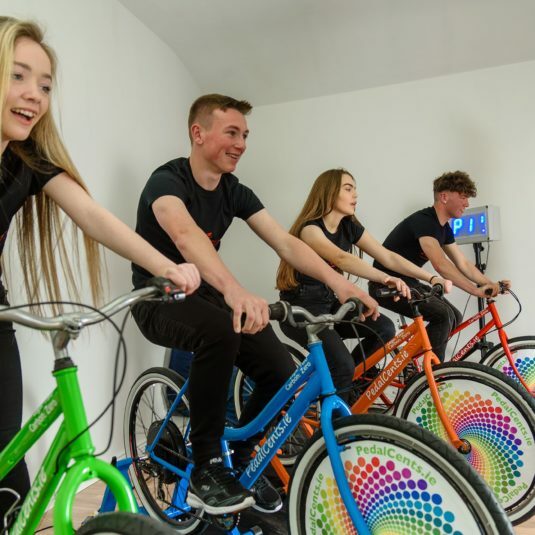 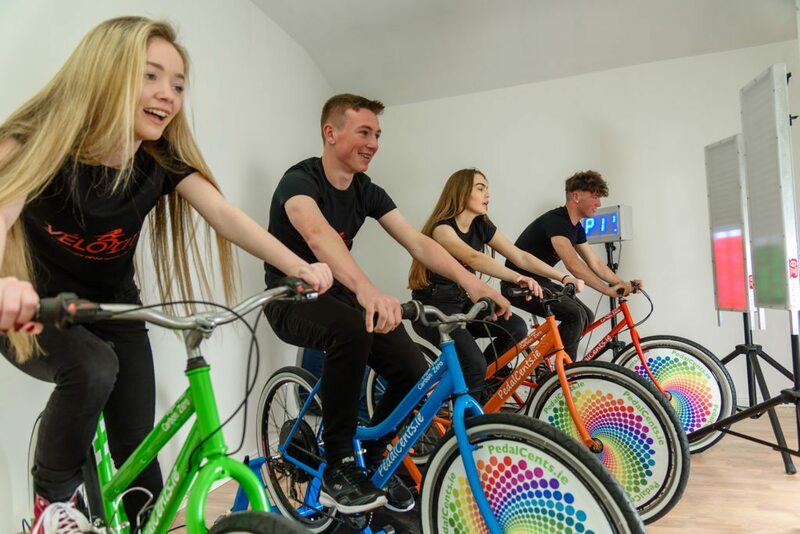 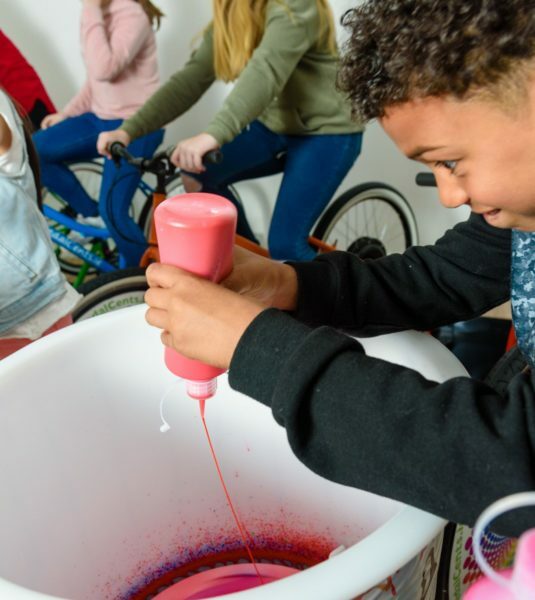 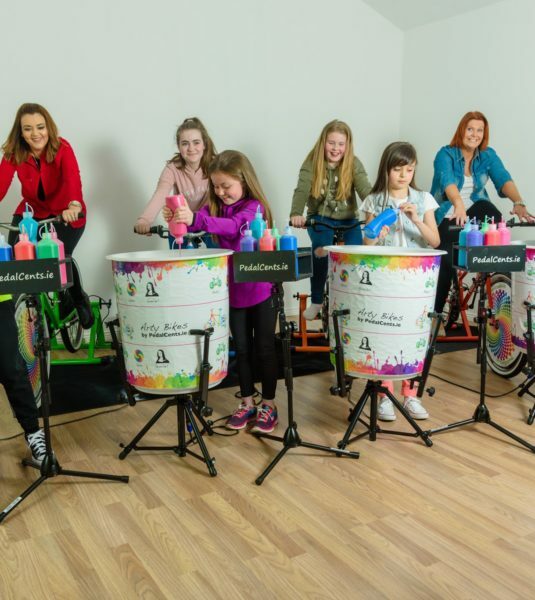 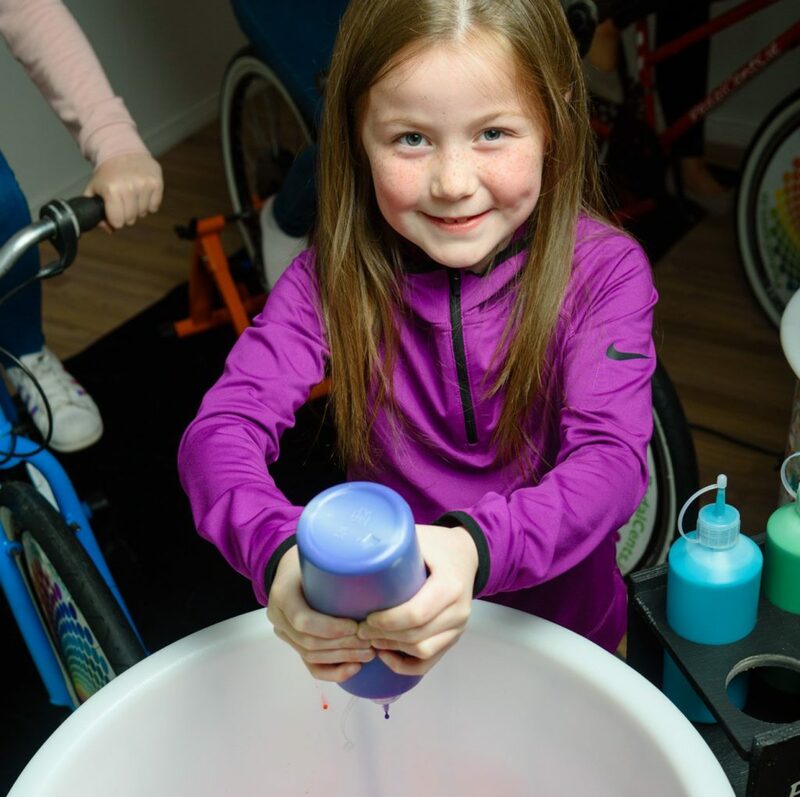 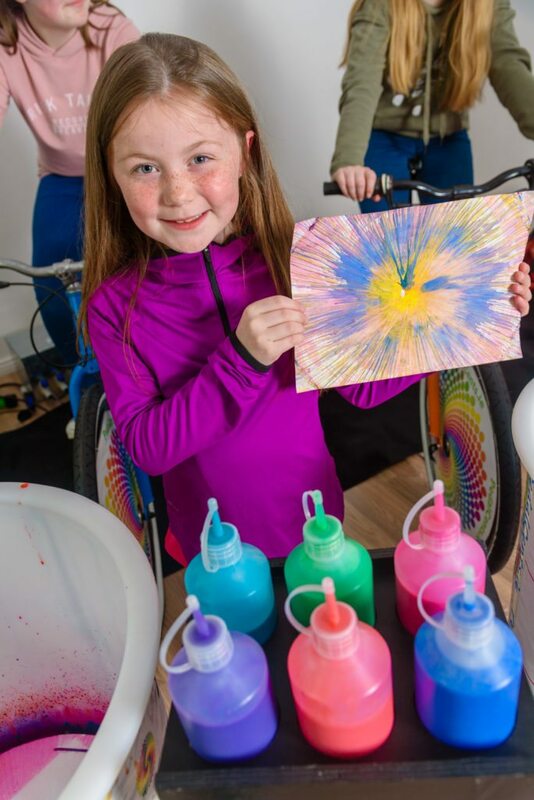 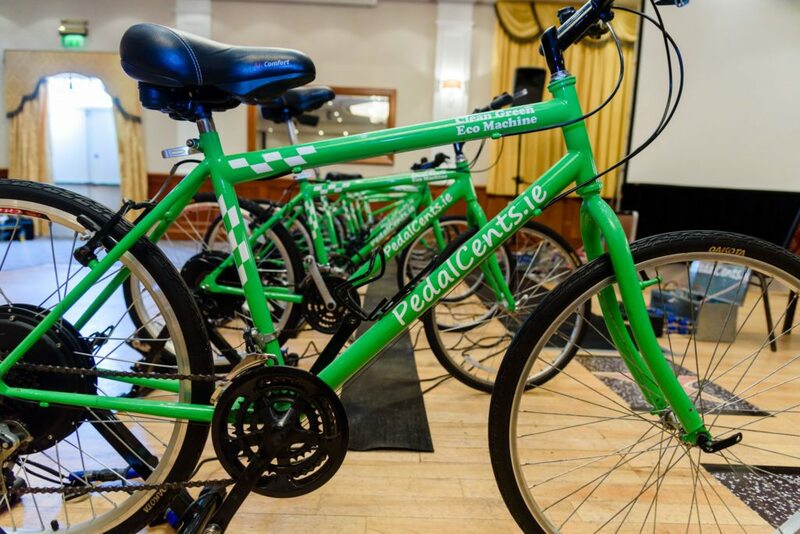 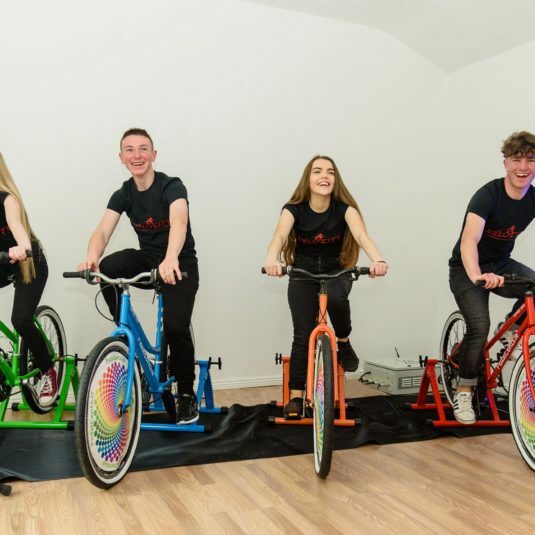 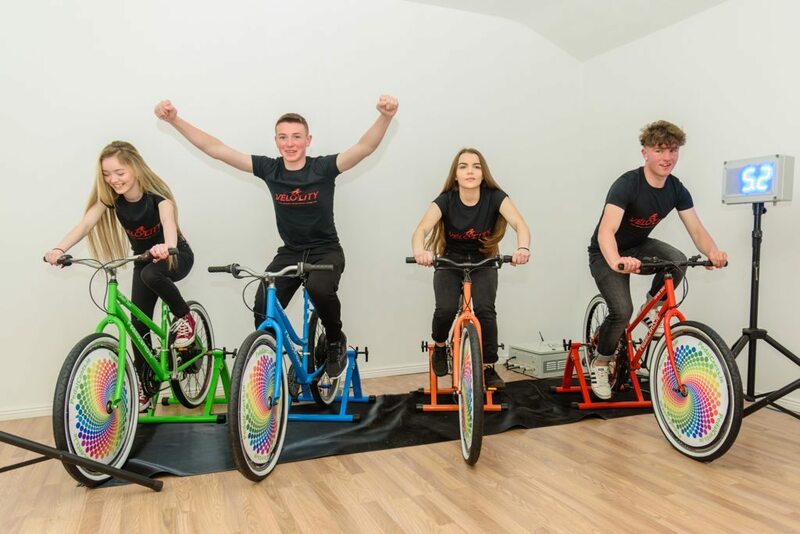 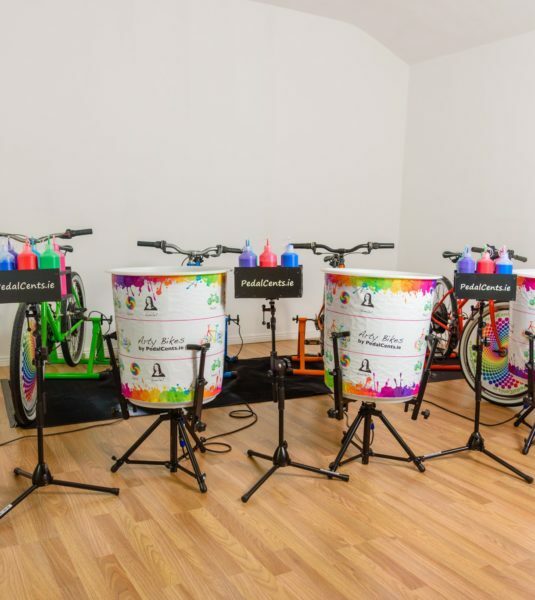 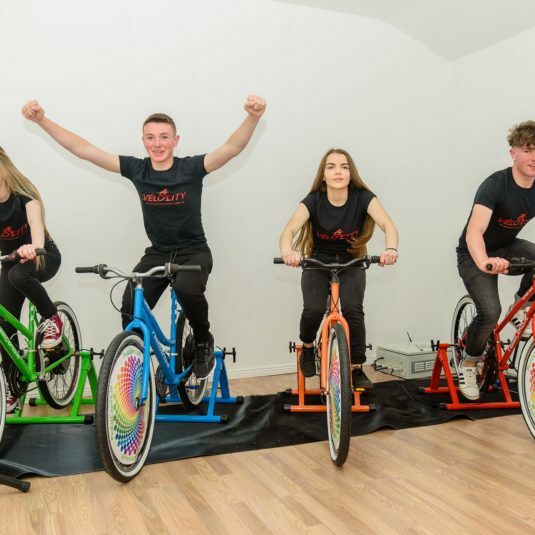 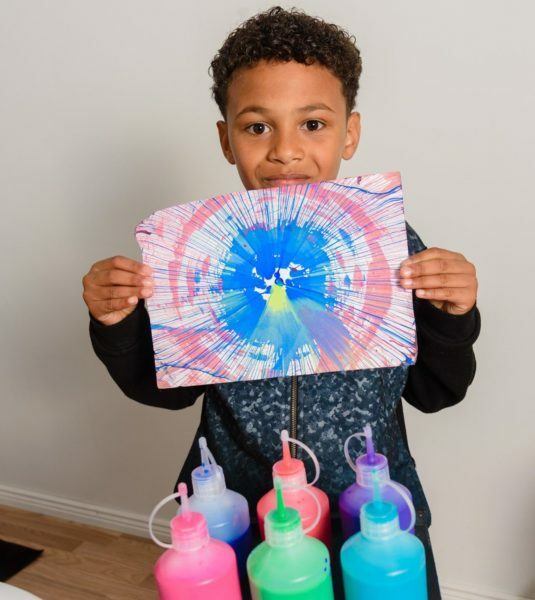 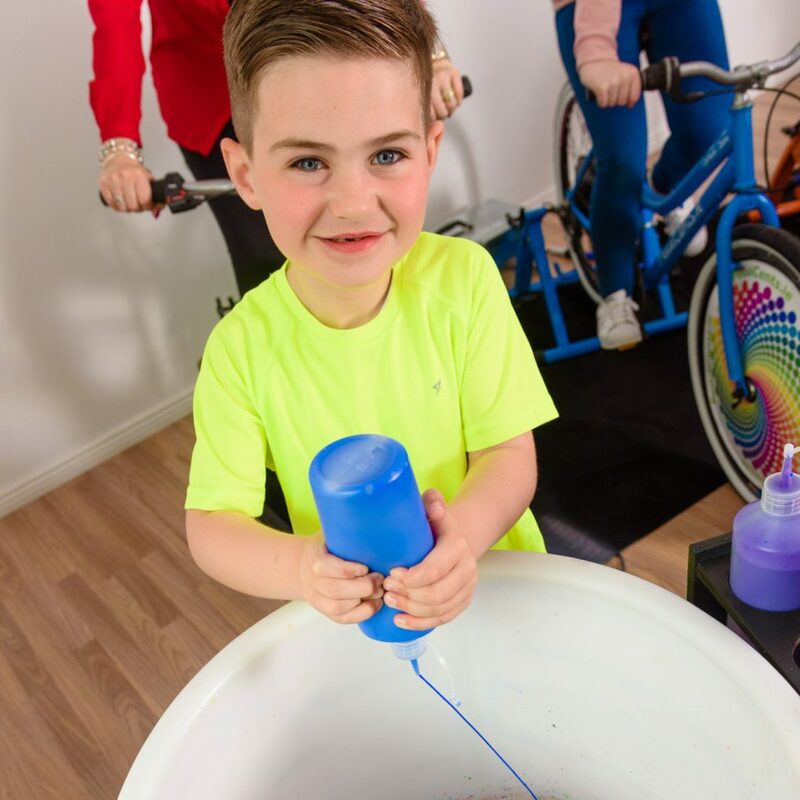 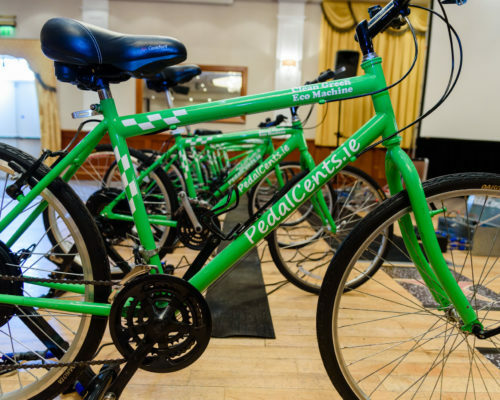 Our pedal powered spin art works really well when included as part of a family fun day, festival, corporate entertainment or fundraising activity. Everyone gets to take their prized artwork home with them to boast of their Picasso like talents! 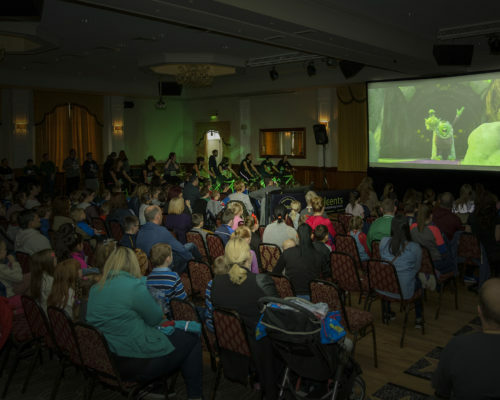 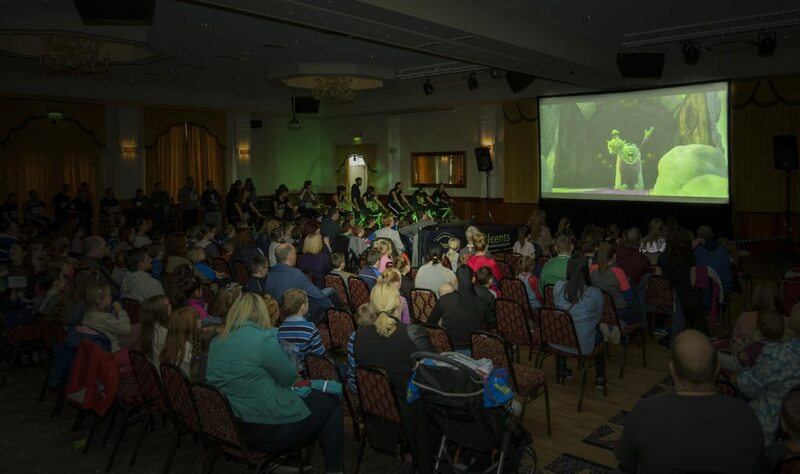 Take the hard work out of thinking of ways to entertain the kids (of all ages) at your next event. 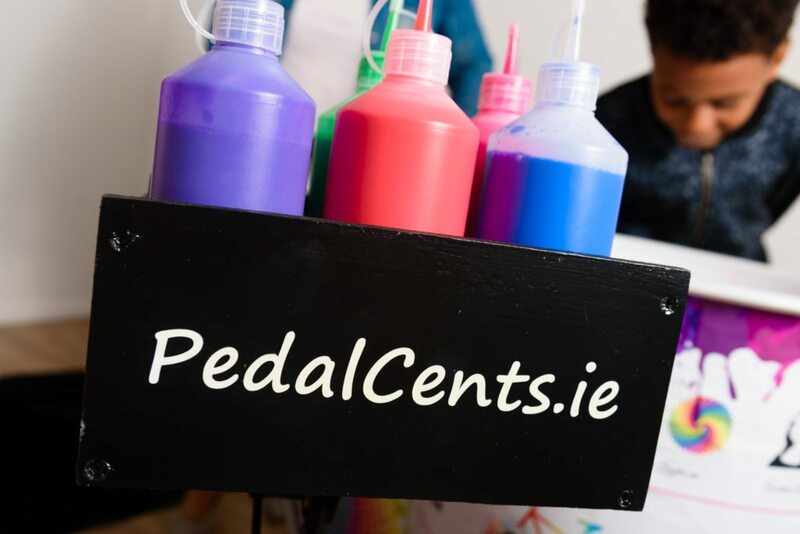 We’ll have them queuing up and coming around again for seconds! 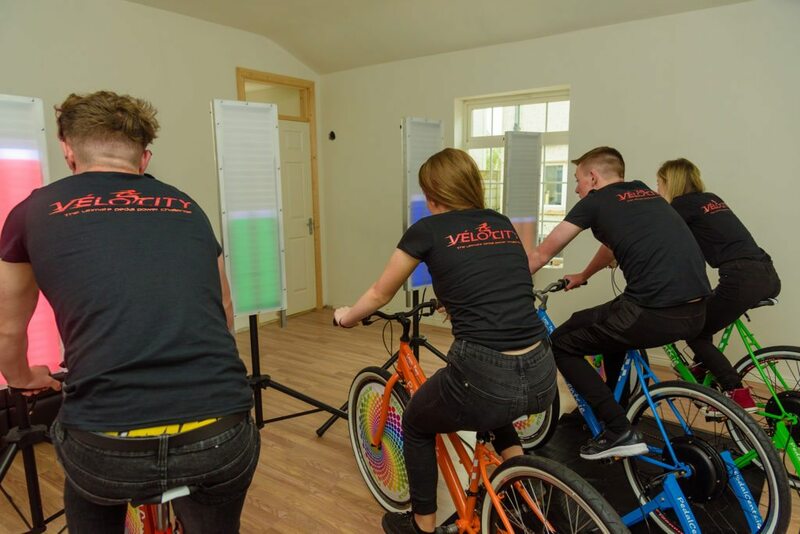 Full day and half day options available. 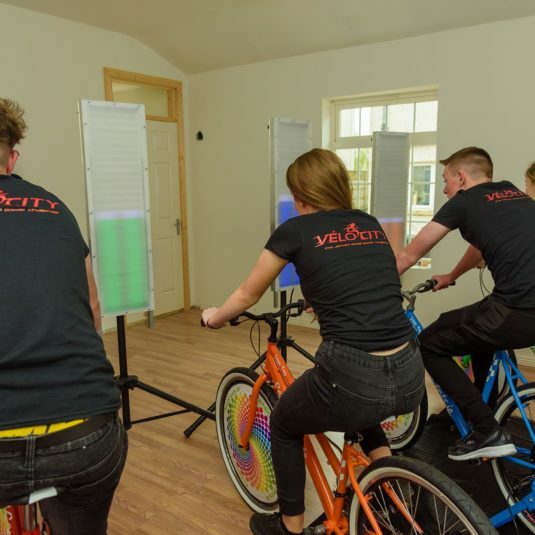 Our VÉLOCITY Challenge is a real show stopper! 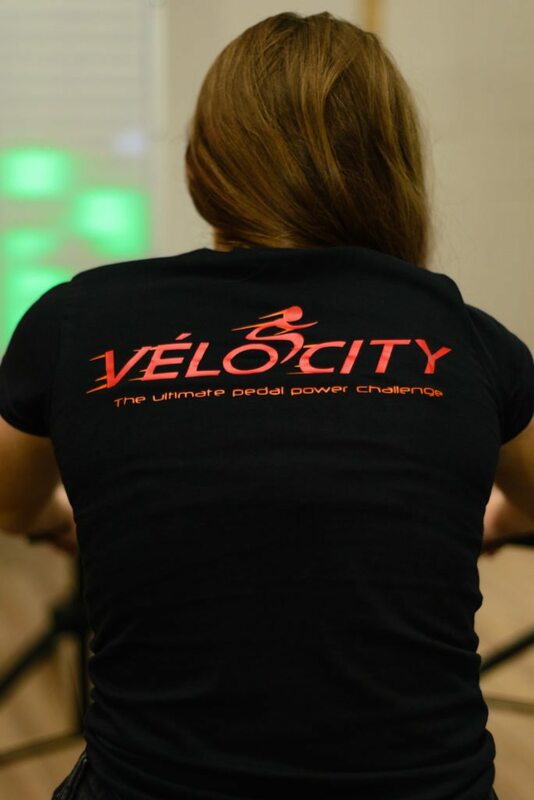 Four cyclists go head to head to see who can outmanoeuvre their opponents to produce the most power. 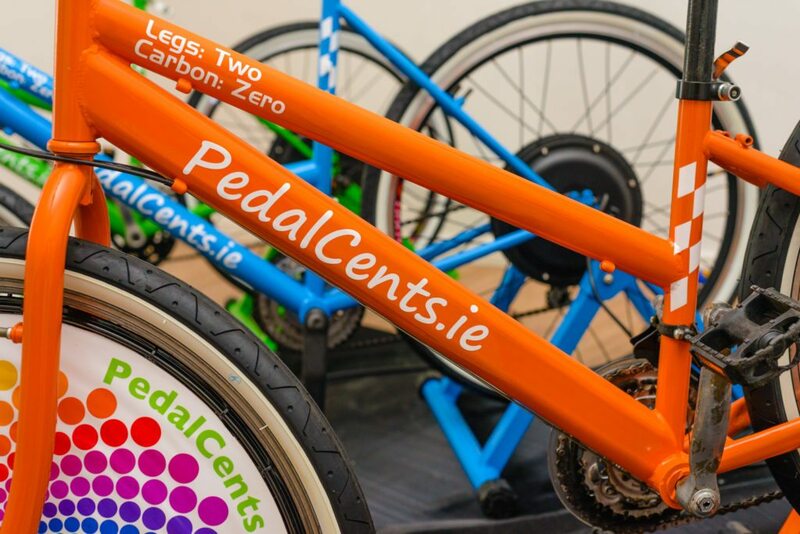 This is fast and furious, bike style but without the go faster stripes! 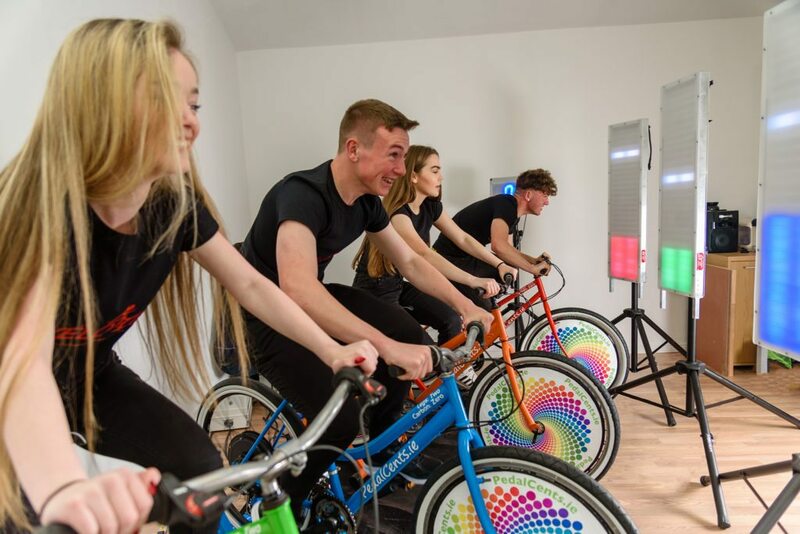 Each bike is attached to a large individual LED display showing the power output from each cyclist for the benefit of the cheering crowd. 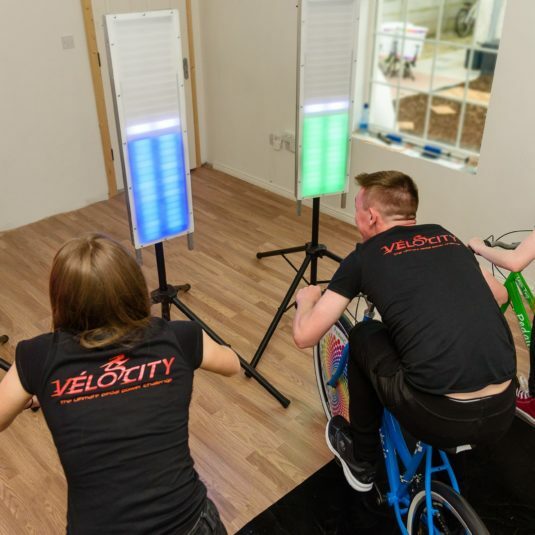 The system is fully customisable (resistance level, duration etc.) 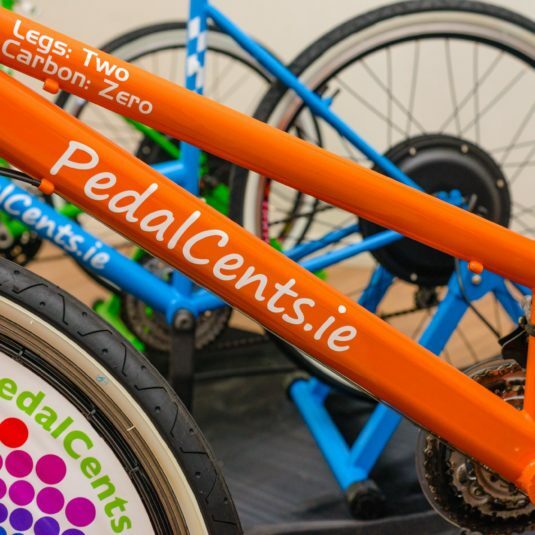 to allow everyone from kids to hardened cyclists and everyone in between to get involved. 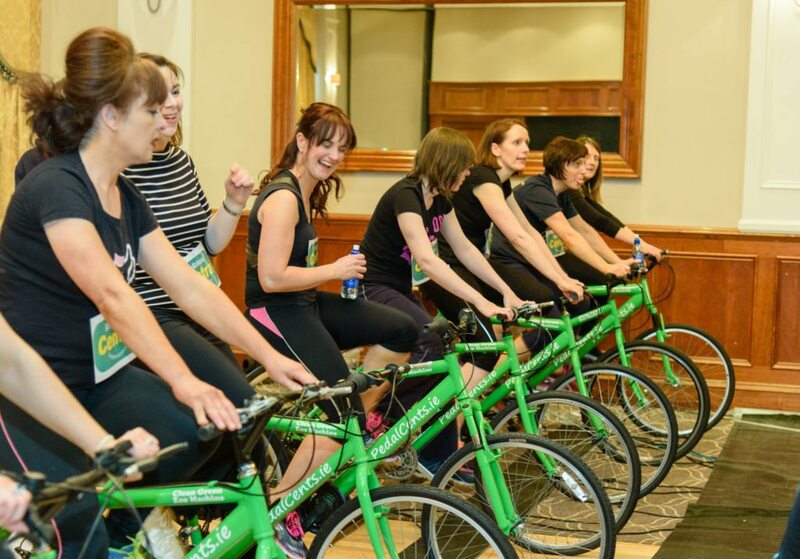 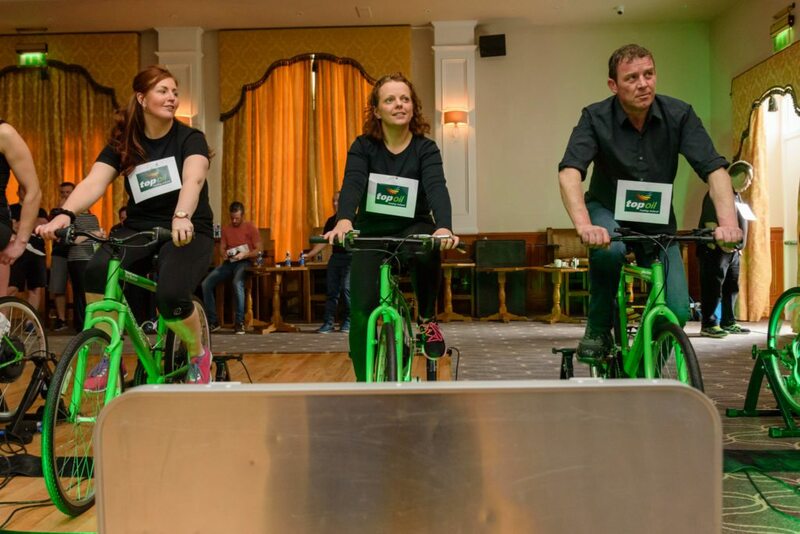 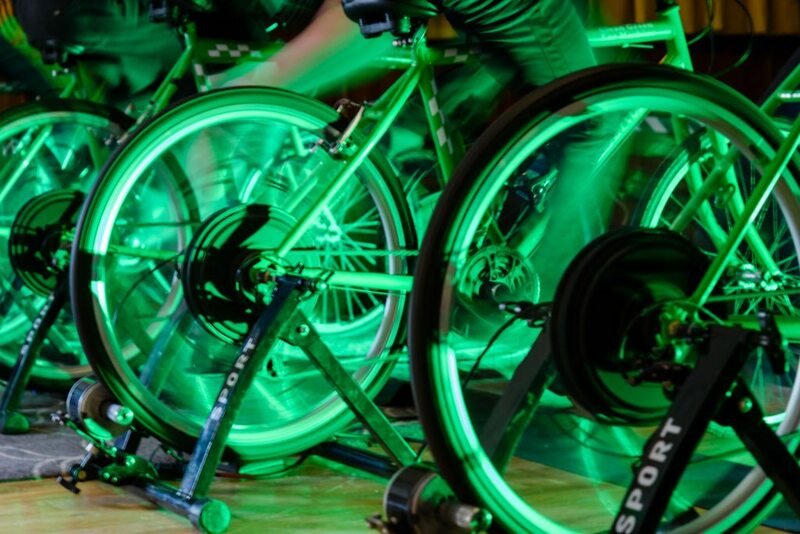 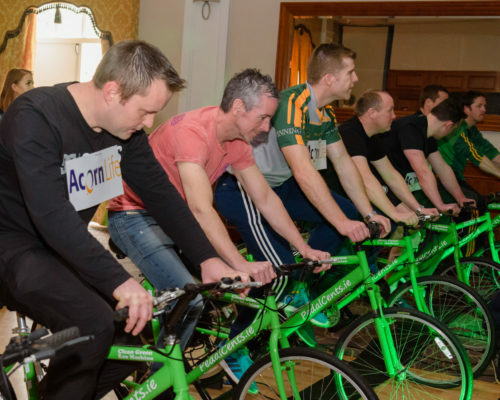 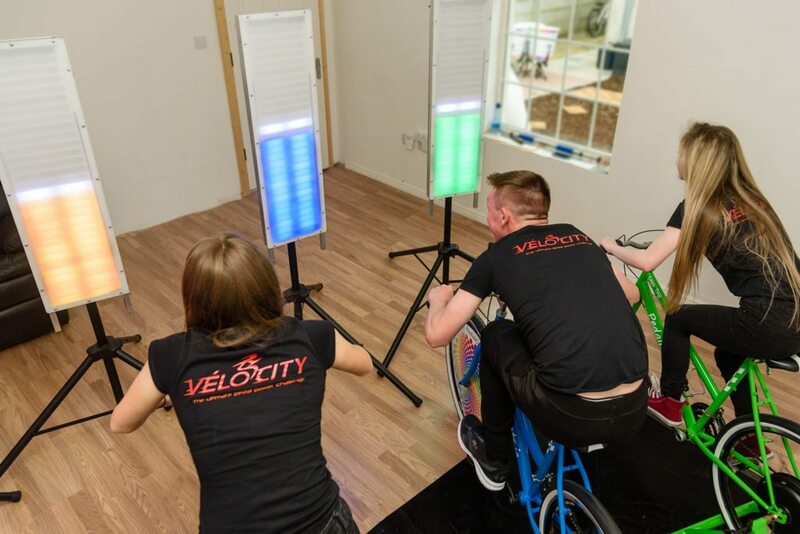 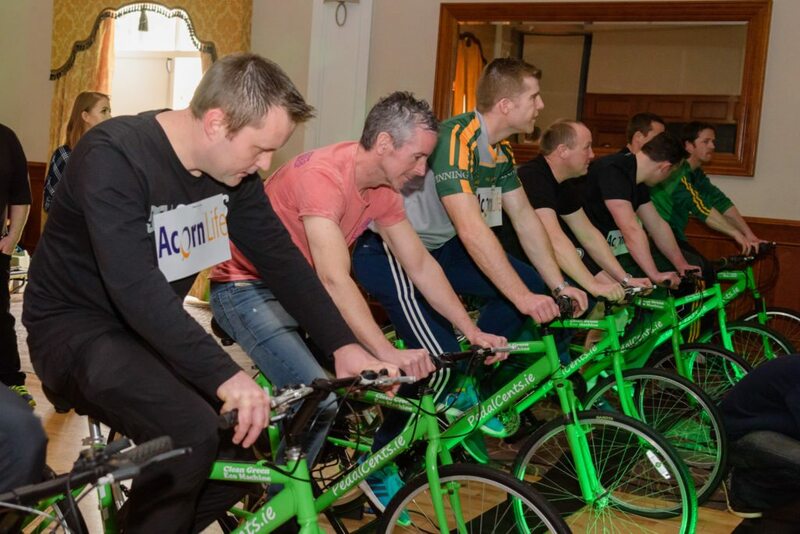 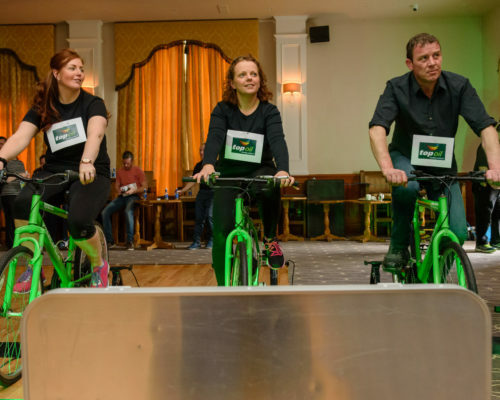 If you are looking for something unique, eye catching and a whole lot of fun for your next event, fundraiser, corporate night or product launch then look no further than the VÉLOCITY Challenge.